Smartphones have revolutionized our lives in countless ways. I can’t possible exhaust all the ways Smartphones have changed our lives and the way we lived. 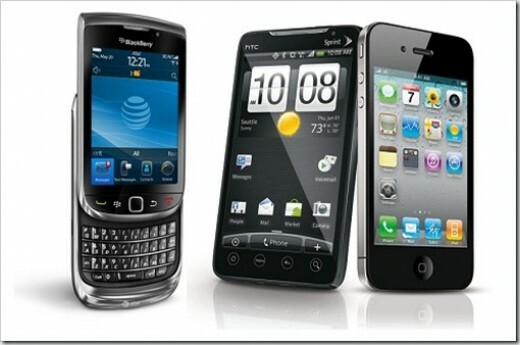 Advancements in mobile computing within the last decade have lead to the designs and developments of “Smartphones”. Many of us have grown reliant on our mobile phones that it has become an inseparable part of our everyday lives. It won’t be a false claim to say that Smartphones have secured a strong place in our lives. Imagine how you feel when you mistakenly left your phone at home? I will personally feel panicked and I believe a lot of people will definitely feel even worst. These reactions are common and clear evidence that Smartphones have become an extension of us. So let’s review how Smartphones revolutionized our world today. I want to examine how Smartphone revolutionized the world, the way we live, work, play and communicate. With the enormous number of Smartphone users and other smart gadgets, it will be easy to see how mobile technology has affected the world. But the question remains “How exactly have Smartphone revolutionized the world”? Medicine: Smartphones have changed how medical helps are provided these days. Medical apps have been very helpful in providing needed help in medicine. Smartphones have changed how medical care is obtained. There are now apps that can help one monitor one condition or the other. A diabetic patient can monitor glucose levels, track and remind oneself of his medication and can even communicate with his physician miles away. There are now apps that assist physicians to make references, take notes on patient’s conditions, calculate dosages etc. Smartphones has helped medical practitioners in countless ways; it has simply provided medical information on every doctor’s fingertips. Education: Smartphones and other smart handheld devices have brought about great revolution in the educational sector. Call it educational revolution you won’t be wrong, Smartphone have placed a mobile internet on our hands every day, an opportunity people never had some 20 years ago. With your Smartphone on you, you have your dictionary, your calculator, your web browser, your encyclopedia, calendar, notepad, e-book reader, etc with you every time. This always comes handy when we need to solve one problem or the other. Special students can now be taught in a special way with Smartphone. Basically everything you can do with a computer can be done with a Smartphone. There are countless educational apps that can help students make researches and become better students in the future. Communication: With endless apps, high-speed internet access, messaging ability etc, Smartphone have revolutionized the way we communicate. With a Smartphone in hand, you are always in possession of a computer with you. Smartphone is considered a handheld computer much has multiple features to run apps. A Smartphone provides you with internet access all the time you are with one. Smartphones aid communication in countless ways, you can communicate with your friends and remain updated with their daily activities via SMS, calls, social media interactions, emails and IM etc. With Smartphone you remain close to your friends and family from any part of the world. The barrier of distance and time has been broken by the invention of Smartphone as you can make video calls on your smart device. Socializing with others has become quite easy with Smartphone as you can meet new and old friends via social networks with your Smartphone. Entertainment: Entertainment today just became more fun by the way Smartphone have revolutionized it. Smartphones have been a game changer in the entertainment industry. Music, videos, games etc are easily shared throughout the world with the help of Smartphones. People don’t have to stay home just to listen or watch the favorite TV/Radio programs anymore. Or miss appointments because they forgot while reading their favorite novels. Now we can play games, share and listen to music with our friends all over the world. Who still buys cassette tapes or CD when you can simply purchase digital music on their Smartphone? Books can now be read on your Smartphone as e-books, watching TV is even more fun now as you can always watch and never miss your favorite series on your Smartphone. You can download/stream any multimedia file right on your Smartphone. As I said earlier, I can’t possible exhaust how Smartphone have revolutionized the world on one blog post. We can keep schedules, set reminders for important events, prepare for a trip and stay organized, make and receive e-payments, book hotels and flights, take photos and share with friends, translate any language, convert currencies and many more from our Smartphones. If you find above post on “How Smartphones revolutionized the world” interesting and useful, use the comment box below to share what you think of it. Please share this post with your friends using the share tools on the left hand side of the browser or the ones under this post. Please if you haven’t liked our Facebook page simply click on the “Like” button on the right hand side of the browser. You can also follow us on Twitter right under the Facebook page. I hope you read my blog post on “How to change default language in Google Chrome“. If you like this blog posts Subscribe to NetMediaBlog Feeds by Email so you can be getting more of my posts on your email even when you are offline.